Macy’s Back to School Fashion Show + America’s Leaders = Savings for You! America’s Leaders has partnered with Macy’s at the Westfield Broward Mall to reward several girls with a Back To School Fashion Show for their outstanding community service this summer! America’s Leaders Summer Camp in Coral Springs for girls and teens, provides a leadership camp that gives girls ages 9 through 14 the opportunity to develop their leadership skills as well as serve the community. These young ladies not only created vision boards and defined their personal and educational goals, but they developed healthy eating strategies for other campers as well as recycling programs and community awareness. “Our goal is to provide programs for girls that give them life skills and positive role models that will help them be their best. It is so wonderful to see these young ladies get excited about helping the community and treating each other with respect. We are so proud of these young ladies as they completed several community projects this summer including a donation drive for the Humane Society, created thank you cards for the soldiers overseas, birthday cards for various homeless shelters as well as created an anti-bulling / gossip campaign. ” says Valerie Stuut, CEO and President of America’s Leaders. 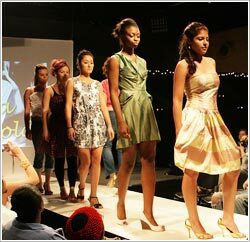 The Back to School Fashion Show is at 2:00 p.m. on Saturday, August 4, 2012 at the Macy’s in the Westfield Broward Mall in Plantation. We are asking everyone to come and donate a “back to school” item that will be distributed to children in need. With a donation, Macy’s will provide everyone with an exclusive 15% off coupon. 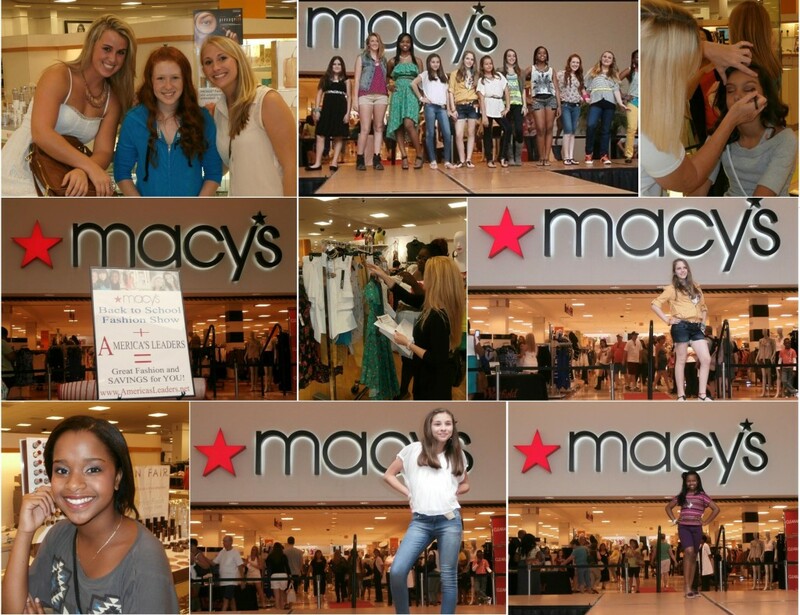 On August 4, 2012, some of the young ladies from our Cheerleading and Leadership Camps were invited to participate in a Back to School Fashion Show at Macy’s in the Westfield Broward Mall. All of the girls and our of our staff had an AMAZING DAY as they all received make-overs and selected outfits of their choice. We would like to congratulate all of our participants for an outstanding show and we look forward to doing it again next summer!